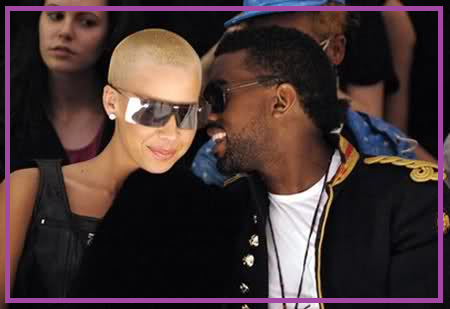 Amber and Kanye have been broken up for almost 2 yrs now, but they're relationship was so loved and hated by the public, that folks are still talking about it even though she's moved in to Wiz, and he's with his long time dip Kim K.
Recently Amber sat down with the great people at The Life Files for an interview, where she opened up about her thoughts on Kanye's record Way Too Cold (where he mentions Wiz) , her plans for kids, and why her hair has changed. I don’t know Kanye as a person anymore. I don’t know him anymore it has been almost 2 yrs so at first I didn’t understand, I was like what is he trying to say, but I took it as a positive end and I feel like its cool, he respects wiz as he should & I respect his decisions & I think people should realize that Kanye is just my ex boyfriend. We weren’t married, we don’t have kids and we both moved on with our lives. It seems like we are both really happy. That was a great answer I think, check out the full interview below.